MALAYSIA, May 18th 2017 – In conjunction with the Hari Raya celebrations, Lazada today unveiled its very own social commerce channel, Lazada TV, launching live on 19th May 2017. The Lazada TV, is part of Lazada’s initiative to seamlessly integrate online shopping with live social content, providing consumers a seamless and compelling shopping experience on the platform. Lazada TV will feature a series of live videos including make-up tips, Raya recipes, and tech reviews, collaborating with renowned brands such as Bosch, L’Oréal, Softlan, Tefal and Unilever. 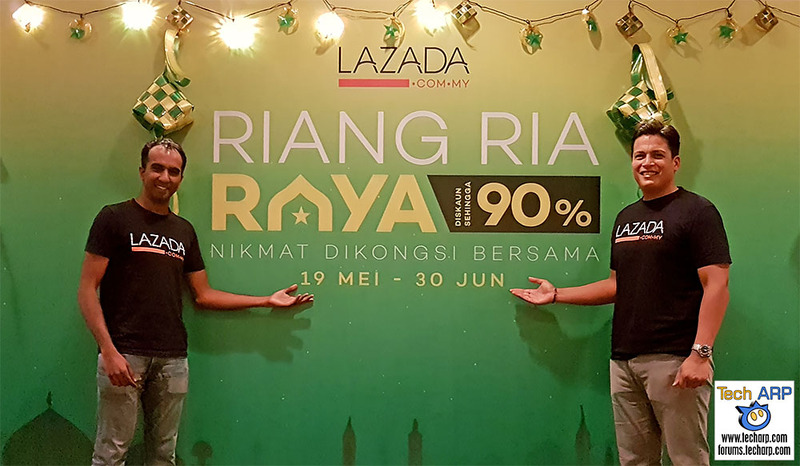 The launch of Lazada TV coincides with Lazada’s Hari Raya campaign themed Riang Ria Raya happening from 19th May to 30th June 2017. Consumers can shop for their favourite brands such as Tefal, Bosch, L’Oréal, Unilever, Tesco, Philips, and Watsons, enjoying discounts up to 90%. During the campaign, Lazada will also feature promotions from various brand partners – customers will stand a chance to win a Perodua Axia from JBL worth RM 25,000, as well as vouchers from Nestle, Senheng and Kelloggs.